Would you like to play an important part in this year’s Africa Day celebrations? 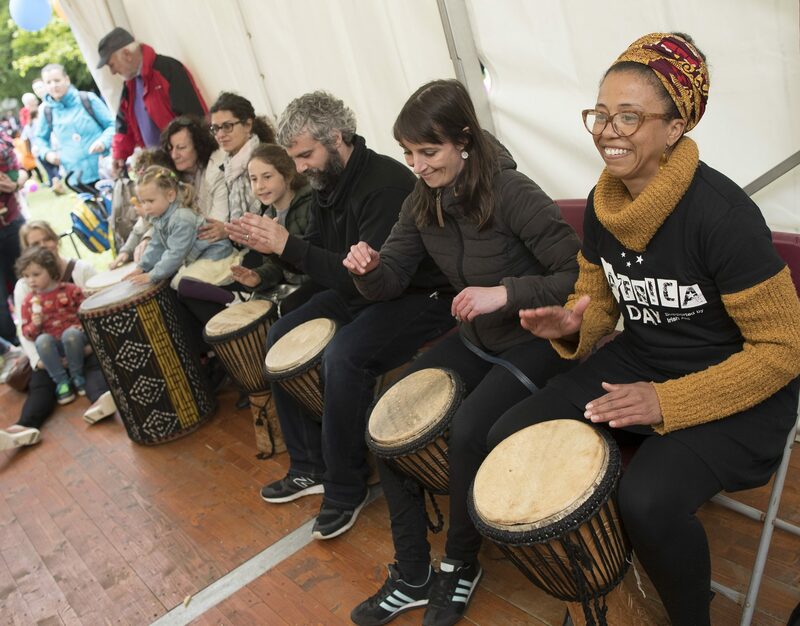 We are looking for energetic and enthusiastic volunteers for the Africa Day 2018 Dublin Flagship event taking place Farmleigh Estate, the Phoenix Park on Sunday, 27th May. Providing information to event visitors, including distribution of programmes and maps. Liaising with performers and groups participating in the event. Checking the cleanliness of the venue and providing assistance if cleaning is required. Providing assistance to event partners. Security and supervising equipment in children’s area. Volunteers must be available to attend a volunteer briefing / training event on Tuesday, 15th May at 5.30pm in the Clonmel Street offices of Irish Aid. Volunteers must be available to work a volunteer shift at Africa Day Dublin in Farmleigh Estate, the Phoenix Park during the hours of 8am and 8pm on Sunday, 27th May 2018. If possible, participate in a number of short volunteer shifts in the weeks leading up to the event to assist in the distribution of Africa Day promotional materials around Dublin City. An Africa Day t-shirt to wear on the day and to keep as a souvenir. Lunch and refreshments during your volunteer shift. A certificate of participation and appreciation at a special Irish Aid reception. Irish Aid at the Department of Foreign Affairs and Trade are the driving force behind Ireland’s Africa Day celebrations and you can read more about the day here. If you are interested in volunteering for Africa Day Dublin 2018, please download and complete the application form here and email it to africaday@dhr.ie before 5pm on Thursday, 3rd May 2018 . Please don’t hesitate to get in touch on 01-4200580 / africaday@dhr.ie if you have any questions!